BERKELEY, Calif. (KGO) -- This weekend, Berkeley's skies are filled with soaring colors for the 30th annual Kite Festival at Cesar Chavez Park. 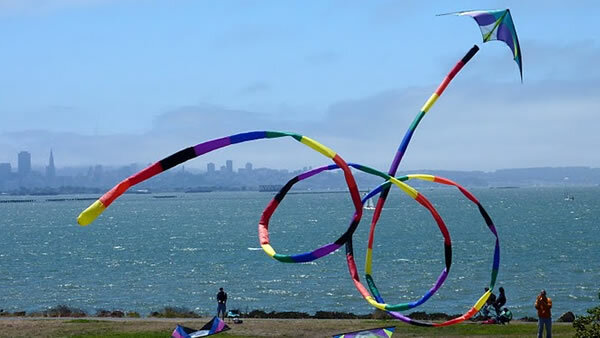 Festival-goers can watch the pros weave their kites along the windy shoreline. There will be choreographed team events and kite battles. If you're not one to sit on the sidelines, there's a kite-making course and kite flying lessons. The event continues through Sunday.